This is where your golfing prowess starts to be really tested, it’s Mendip Spring’s answer to Amen Corner! A long, tough par 4 with a tree in the middle of the fairway. The tiger line is to the left of the tree to leave a shorter shot to the green, but that is quite tight to the ditch that runs all the way down the left. 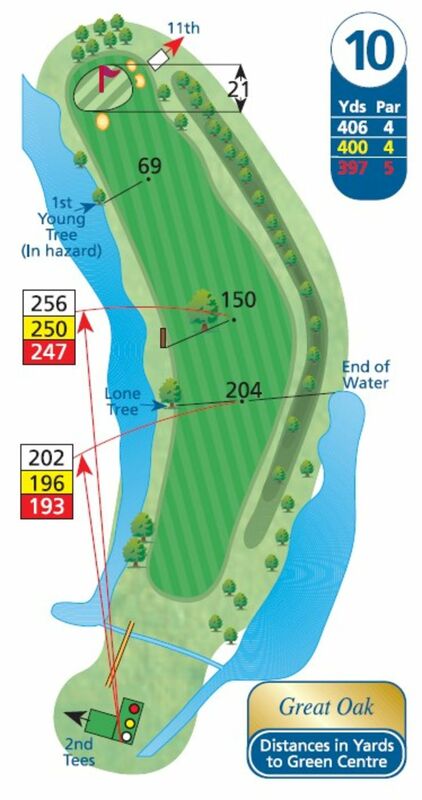 The safer option is to the right, but that leaves a longer shot in to the green.